The bald eagle is the national bird of the United States of America. 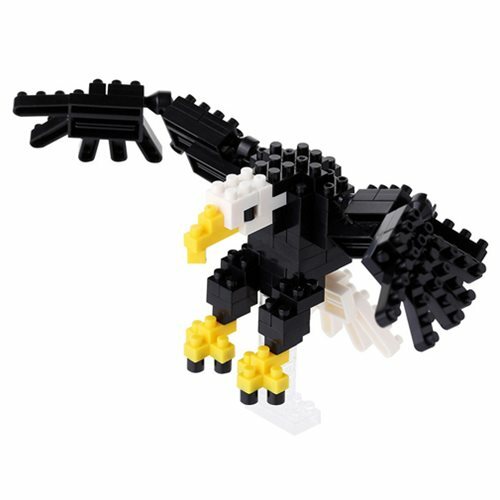 It measures 28 to 40-inches long and has a typical wingspan of 6 to 7 1/2-feet, but you can build this Bald Eagle Nanoblock Constructible Figure that fits in the palm of your hand! These micro-sized building blocks enable you to execute even the finest details like never before. You'll be amazed as this awesome figure takes shape right beneath your fingertips! Ages 8 and up.